SSL Series Stainless Steel Castors with a (Electro-Conductive) Rubber Wheel are an excellent range of light duty top plate stainless steel castors. With five sizes to choose from these castors are ideal as medical castors, catering castors and for food manufacturing and catering applications. 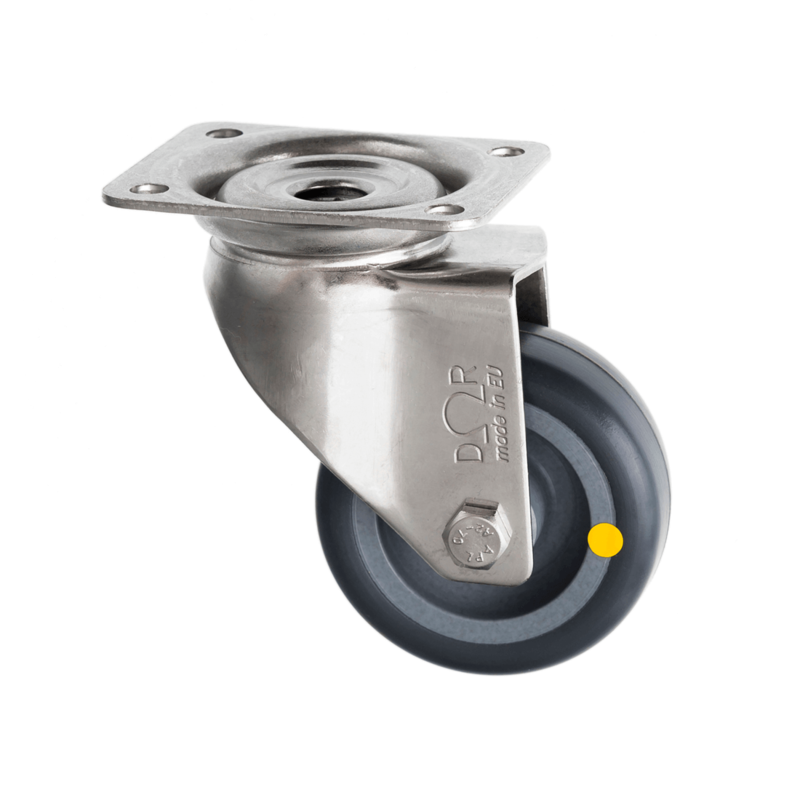 These versatile stainless steel castors can be supplied either as swivel castors, fixed castors or with brakes.